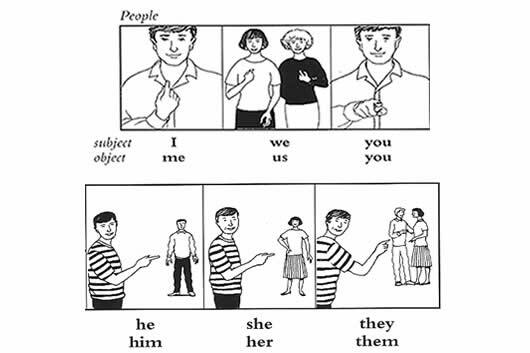 Subject Pronouns are the subject of a sentence. A noun is a word that describes a person, place or thing. A pronoun, on the other hand, is a word that replaces a noun. For example, it would be weird to say, ‘Mary went to the market, and Mary got some fruits’. Hence, we say ‘Mary went to the market, and she got some fruits’. Here she replaces Mary, but it still indicates that we are talking about Mary. A Subject Pronoun is a pronoun that is the subject of the sentence. A subject is the core of a sentence. In order to be complete, each sentence must have a subject. A subject is essentially what the sentence is about. It is the focus of the sentence. The easiest way to differentiate the subject is to ask yourself, “Who is doing what?” The answer to this question will nearly always be the subject of the sentence. A Subject Pronoun is the pronoun that is the subject of the sentence. Let us consider an example: ‘She is a great singer’. Who is a great singer? She is. Hence, she is the subject pronoun. The money will be given to me. It is we who are responsible for the decision. You can go to the game, as long as you finish the dishes. I wanted to go to the party but she wouldn’t let me.